The US and the rest of the West continue to carry out the same failed Russia policy that let to the ‘new Cold War. That policy can be summed up in the following words: We, with our NATO and EU expansion, will ignore your interests and national security concerns; you must follow our model immediately or feel our wrath. The new cold war – for now limited in its hot sphere to proxy wars in Ukraine and Syria – has led to a doubling down on this failed Western approach by continuously intensifying sanctions and backing Russian opposition movements while simultaneously trying to isolate Moscow in the international arena. These three policies are self-defeating failures, which only consolidate Russian society around Russian President Vladimir Putin and his soft authoritarian system, regardless of social discontent over official corruption, arrogance, and arbitrary rule. The Western expansion model — subordinating Russia to an appendage of the West with nothing worthy to contribute either to Western security, economies, society or culture – and requiring Moscow to democratize and marketize discredited Russian democrats and led directly to Russia’s retrenchment from Westernization. Moscow was told it must conform immediately to ostensibly superior standards or be isolated and punished. It must accept NATO and EU expansion regardless of there deleterious effect of these Western policies on Russian interests. Russia’s retrenchment and continuing Western expansion led inevitably to the Ukrainian crisis and new cold war, as Moscow will never tolerate NATO on the longest section of Russia’s Western border and on Crimea in the Black Sea unless it is implemented by force, i.e. war. The West responded to Russia’s resistance to Western expansion with democracy-promotion, regime change, and color revolutions in Russia and across Eurasia and among Russian allies and more recently in the wake of the Ukrainian crisis economic sanctions and an attempt to isolate Russia internationally. Democracy-promotion, which is essentially opposition-promotion, targets Putin and his regime from below. That democracy-promotion is promotion of the political opposition and revolution-like political change is evident from recent histories in Serbia, Georgia, Kyrgyzstan, and Ukraine. Virtually nowhere has democracy-promotion led to evolutionary change. This fact cannot be lost on the Kremlin and the leaderships in other post-Soviet and post-communist states. They inevitably begin to see democracy-promotion as revolution-promotion, and revolutions, as history teaches us, are messy things that can lead anywhere once triggered. The Kremlin, given a centuries-long history of domestic opposition allying with external foes, is especially sensitive to opposition-promotion; hence, moves such as the foreign agent law and much else. If democratic opposition-oriented figures well-networked in Washington and working for US-funded Moscow-based think tanks, like Carnegie Moscow Center scholar Aleksandr Baunov, consider it only “unlikely” that Western governments are “directly” financing opposition leader Alexei Navalnyi (https://echo.msk.ru/programs/personalno/2121930-echo/), then many other Russian democrats, not to mention Russians of other stripes, such as Vladimir Putin, know that they are doing so at least indirectly. And they are almost certainly correct in thinking so. The West’s post-Ukraine crisis sanction meanwhile are intended to undermine the regime from above. The hope in Washington and Brussels is that by pressuring state and private oligarchs close to Putin or the Kremlin, some may withdraw their support and seek either to remove Putin in a coup or join the opposition and remove him in a revolution or force him negotiate his way out of power safely. In short, the West’s sanctions seek to alienate part of Russian elite and cause an elite or regime split. The effort to target the regime from above and below in this way is rooted in Western political science’s regime transformation or democratic transition theory — revolution-making in practice. Rulers are more likely to be overthrown or negotiate their regime’s transformation into a democracy if the societal opposition to the regime is strong and the regime’s ruling group or groups split, with some defecting to the opposition and thereby strengthening it. Opposition from above and below can be further mobilized by isolating Russia internationally. While the West’s goals in Russia of mobilizing opposition through democracy-promotion and causing a regime split through sanctions are rarely, if ever acknowledged by Western leaders, in the wake of the Ukrainian crisis Western leaders openly declared their desire to isolate Moscow internationally. Sanctions were part of this strategy. The hope was to isolate Russia economically and diplomatically. The former, by causing economic and business dislocation, would fuel opposition anger below to, and official disenchantment above with Putin. The latter, diplomatic isolation, would reduce Putin’s stature at home, where his anti-Western policies earn him respect among non-Western leaders and exaggerated claims of success in ‘undermining Western values’ and ‘recreating the Russian empire’ in the West. These policies have achieved no success in the past and are unlikely to do so in the future. Nether the Russian people nor any section of the core Russian elite is ready to overthrow Putin. Russia’s soft authoritarian regime is effective in that it avoids provoking society to revolution. It represses selectively, almost surgically and rewards more broadly. Therefore, Putin is still highly popular outside of Moscow and St. Petersburg and is sufficiently popular in those two key cities. Except there, youth remain highly apolitical. The regime is unlikely to be shaken until 2024 when Putin cannot run for the presidency constitutionally, and the Russian people will be likely tired of him, Medvedev, and any other face Putin is likely to designate as his preferred successor. The Russian economy is on the rebound, so there is little economic motive to rebel. Indeed, Russia continues to register high levels of ‘life satisfaction’ and happiness in opinion surveys and academic studies. Frustration over regime corruption and bureaucratic arbitrariness do not translate into disdain for Putin outside the intelligentsia. The effort to isolate Russia failed miserably. It is impossible for the West, in fact, to isolate Russia internationally. China, the world’s largest market and rising counter-power to Western dominance, is a Russian ally, perhaps its closest. Russia remains a member of the G20 and a leading member of BRICS, the Shanghai Cooperation Organization and the Eurasian Economic Union. The latter two are rapidly expanding international organizations that seek protection from Western dominance rather than seeking Russian isolation. Foreign direct investment into Russia is rebounding to growth-sustaining levels. Moscow was able to convince Saudi Arabia, an ostensible US ally, to cut oil production, thus raising prices and saving the Kremlin from an election year budget crisis. The US recently purchased and received its first party of Russian LNG. The Putin regime remains united, not least of all against the West’s antagonistic attitude towards Russia, exemplified in stark terms by the Russophobia unleashed with the Russiagate hysteria in the West. Liberal commentator Nikolai Svanidze outlined how the US government’s overly antagonistic policies consolidate Putin’s soft authoritarianism. Commenting on Chechnya’s arrest of the Chechen branch of the human rights organization ‘Memorial’, he noted: “It would be good if this story would not be politicized in general and abroad as well. Because when there, let’s say an international human rights ombudsman talks about this and calls for the release of Titiev, that’s one thing. When the US State Department talks about this, it means, knowing our reaction, that Titiev’s situation will only worsen, because of the bad relations between our countries. And every such similar remark….has the opposite result completely” (https://echo.msk.ru/programs/personalno/2127140-echo/). Western policy has alienated Russia and Russians, and Putin just happens to be the most important of the latter. Our policy is not “hybrid”, as one Russian commentator recently explained, but rather schizophrenic. On the one hand, we place the entire Forbes 100 in Russia and then some on a potential sanctions list trying to split the regime, while seeking Russian compromises or assistance in Ukraine, Syria, Iran, North Korea, the Israeli-Palestinian conflict. What is needed is a policy of ‘real engagement’ with Moscow, the end of NATO expansion, and a willingness among NATO and the EU to admit their sad role in the making of the Ukrainian and Syrian crises. Among other things, we must challenge increasingly ultra-nationalist Kiev to negotiate with the Donbas rebels and convene a truly international conference to resolve the Syrian crisis and the Kurdish question. Unfortunately, American hubris and revolutionism and the NATO and EU bureaucracies will have nothing of such a realist policy. Gordon M. Hahn, Ph.D., is a Senior Researcher at the Center for Terrorism and Intelligence Studies (CETIS), Akribis Group, San Jose, California, www.cetisresearch.org; an expert analyst at Corr Analytics, www.canalyt.com; and an analyst at Geostrategic Forecasting Corporation (Chicago), www.geostrategicforecasting.com. Dr. Hahn is the author of the recently published Ukraine Over the Edge: Russia, the West, and the ‘New Cold War (McFarland Publishers, 2017) as well as three previously published and well-received books: Russia’s Revolution From Above: Reform, Transition and Revolution in the Fall of the Soviet Communist Regime, 1985-2000 (Transaction Publishers, 2002); Russia’s Islamic Threat (Yale University Press, 2007); and The Caucasus Emirate Mujahedin: Global Jihadism in Russia’s North Caucasus and Beyond (McFarland Publishers, 2014). He has published numerous think tank reports, academic articles, analyses, and commentaries in both English and Russian language media and has served as a consultant and provided expert testimony to the U.S. government. 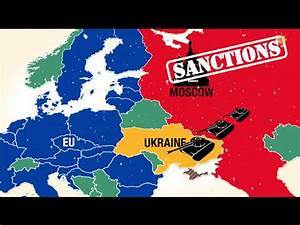 2 Responses to "Expansion, Sanctions, and Opposition-Promotion: The West’s Failed Russian Transformation Strategy"
“Russia’s retrenchment and continuing Western expansion led inevitably to the Ukrainian crisis and new cold war, ” Excuse me, who is expanding? who overthrew the Ukrainian government and installed Poroshenko? Who are you pretending is promoting democracy? The USA is by far the greatest invader and régime-changer in the world today. As for soft authoritarian- who are you to decide for the Russians, when the USA has so many “elected” lawmakers who do nothing for the people except help the rich get richer and allow the poor to be killed by police or gun-toting white supremacists? Very good. As it looks now, we can only cross fingers. Westerners need to understand that USA is on its way out. No real production, with a huge debt and enormous political problems . Russia’s Putin is not easy to beat. If another leader came and opened up to Nato and Western input – one can only be afraid of that Idea. Lot of new fights to grab Russia’s wealth and undermine its stability.